Create cinematic movie titles, intros, and transitions. Start a fire or make it rain. Animate a logo or a character. With After Effects CC, the industry-standard animation and creative compositing app, you can take any idea and make it move. After Effects CC 16.1 has plenty of great new features, but the biggest news in this release is the new Content-Aware Fill. This tool, like the one in Photoshop, removes unwanted objects from a video, using Adobe Sensei technology. Remove gear, people, cars, and more with this tool. Easily and cleanly remove unwanted objects, including boom mics, signs, and even people, from your clip. 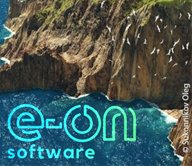 Powered by Adobe Sensei, Content-Aware Fill automatically fills the space throughout your clip, saving you hours of painstaking erasing or replacing objects frame by frame. A new Expressions Editor makes writing expressions easier with line numbers, matching brace highlighting, and code folding. Customize your coding environment with syntax highlighting themes. Identify and fix problems quickly with in-line error messages. More GPU-accelerated effects include Roughen Edges and Change Color. Both now support 16- and 32-bpc color. Work faster than ever in Team Projects when using multiple assets between team members. Load and save guide setups to reuse in new projects and share with Premiere Pro editors to set parameters for their sequence. As you move from machine to machine or project to project, any missing fonts will automatically sync from Adobe Fonts, if available. RED debayering is now functional for Mercury GPU Acceleration (Metal) on macOS. Now you can import Sony VENICE X-OCN footage. The October 2018 release of After Effects CC (version 16.0) rolls out exciting new features for visual effects artists, graphics editors, and animators. Read on for a quick introduction to these features and links to resources offering more information. New Advanced and Bend pins let you precisely twist, bend, curve, and scale animations. Explore new ways to animate with new Advanced and Bend pins in the Puppet Tool. With better precision, and the ability to switch between pin types, control your animations with the Advanced pin that enables you to scale and rotate your mesh to detailed precision. The Bend pin lets you create different deformations by curving and bending your animations. For more information, see Types of pins in the Advanced Puppet Tool. Generate a depth pass with the After Effects Classic 3D or CINEMA 4D renderer. Composite objects quickly and easily in 3D space. Apply depth effects such as Depth of Field, Fog 3D, and Depth Matte so elements look natural or use depth data to simulate 3D looks. Z-depth can now be extracted by the 3D channel effects from a nested composition that contains 3D layers. This can be used to apply 3D depth effects to the composition layer, such as a depth of field blur, or to generate a matte for depth compositing or color correction. Generate a Depth Pass the Classic 3D and the Cinema 4D Renderer. Depth Pass lets you set objects into a scene and apply depth of field parameters to your object without going into multiple panels, dropdowns, or a third-party application to make it look natural or as part of the scene. For more information, see Depth passes for 3D compositions. Monospace font: The expression editor field now uses Source Code Pro. Auto-resizing: The expression editor field now automatically adjusts when you click into it to show as much of the expression as possible. Enable or disable all expressions on selected layers: All expressions on a layer can now be disabled or enabled via two new menu commands in the Layer > Switches submenu, or by right-clicking on a layer and opening the Switches submenu. Buttons in the banner use easier-to-see dark icons. A new Hide Expression Error Banner button hides the banner. This button disables the Show Warning Banner When Project Contains Expression Errors option in Preferences > General. To show the expression error banner again, re-enable the preference. Motion graphics involve keyframes and when the length of a composition changes, the keyframes must be adjusted as well, involving repetitive work when iterating. The Responsive Design features in After Effects, allow you to author graphics that adapt to later changes. Responsive Design – Time in After Effects enables adaptive time-stretching when a composition is nested or exported as a Motion Graphics template. When the in and out points of the composition are adjusted, the duration of protected regions is preserved and unprotected regions are time-stretched. For more information, see Add responsive design to your graphics. Innovative new curve adjustment tools make selective color grading simple and straightforward. Two axes allow you to adjust Hue to Hue and Hue to Luma values with a clear visual representation. This provides precision to take the guess work out of curve adjustment. For more information, see Lumetri color curves control. The Essential Graphics panel allows you to group controls together, control font properties, and add controls for CSV and TSV spreadsheet data sources to a Motion Graphics template. To accommodate groups, a new menu named Add Formatting replaces the Add Comment button in the lower left of the Essential Graphics panel. The Add Comment command can be accessed from this menu. For more information, see Motion Graphics templates in After Effects. After Effects 16.0 includes the Mocha AE CC 6.0 plug-in from Imagineer Systems - Boris FX. This replaces the stand-alone Mocha AE application that was included with previous releases of After Effects. The Mocha AE CC plug-in includes the same accurate planar tracking as the stand-alone Mocha AE application, but features a new interface and is now GPU-accelerated. For more information, see Work with the Mocha AE plug-in. Adobe Animate CC documents (.fla) can now be imported into After Effects as a composition of layered .swf files. Ensure that the Animate 19.0 version is installed on the same computer. For more information, see Importing FLA files into After Effects. This release of Adobe XD CC can export layers and artboards to your After Effects project. This functionality provides seamless assets transfer between XD and After Effects, with native mapping of layers, artboards, vectors, text, and artwork. 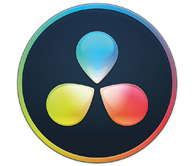 The workflow enables designers to send to After Effects groups of layers and define advanced micro-interactions or artboards to create complex and refined transitions or interactions. For more information, see Working with Adobe XD and After Effects. This release of After Effects introduces the Theater Mode (Rectilinear) that previews the composition as a flat rectangle in an empty room, simulating the view of looking at a movie screen. For more information, see Preview footage in your headset. Stereoscopic Side-by-Side: The Frame Layout parameter can be set to Stereoscopic Side-by-Side, in addition to the existing Monoscopic, and Stereoscopic Over/Under options. Horizontal and Vertical Field of View: The horizontal and vertical field of view can be independently set. By default, the values are 360x180. For VR 180 content, set both values to 180. For more information, see Apply immersive video effects. The Wave Warp effect is now multi-threaded and renders 2x-3x faster by using multiple CPU cores. The Median effect has been updated to a modern algorithm that renders much faster than the previous median algorithm and that supports 32-bpc color. The new algorithm renders differently at layer edges, so the previous algorithm has been preserved as separate effect, Median (Legacy). Projects saved in previous versions of After Effects apply the Median (Legacy) effect to preserve the rendering result. After Effects now uses Adobe Clean UX for the user interface. The disclosure triangle (twirly arrow) is updated to an open-triangle design. It is now easier to find and identify GPU-accelerated effects or to determine whether Mercury GPU Acceleration is enabled for the open project. In the Effects & Presets panel, you can filter the list of effects to show only GPU-accelerated effects. Click the panel menu and choose Show GPU Capable Effects Only. In the Effect Controls panel, GPU-accelerated effects display the GPU acceleration badge next to the effect name. At the bottom of the Project panel, a rocket ship icon indicates whether the project is set to use Mercury GPU Acceleration. If the rocket ship icon is bright, the project is set to Mercury GPU Acceleration. If the rocket ship icon is dim with a power button icon, the project is set to Mercury Software Only. Click the rocket ship icon to open the Project Settings > Video Rendering and Effects tab, where you can choose whether Mercury GPU Acceleration is enabled and which GPU technology is used. Guide lines can be set to a precise pixel position. After you create a guide line (drag from the horizontal or vertical ruler), right-click and choose Edit Position, then enter the new position as a number of horizontal or vertical pixels from the composition origin (upper-left corner). You can install After Effects scripts or ScriptUI panels by selecting new commands from the File > Scripts panel, or by dragging script files into the Project panel while you hold down the modifier keys. Scripts installed through these methods are copied to the current user preferences folder, and appear in the File > Scripts menu or Window menu (for ScriptUI panels) after you restart After Effects. When you launch After Effects, it now displays a Home screen, which includes an option to create a project or open an existing project. You can also view the Home Screen at any time by pressing the new Home button on the toolbar, which is displayed to the left of the Selection tool. The options on the Home screen evolve as you keep using After Effects. The contents of the Home screen are tailored based on your familiarity with After Effects and your Creative Cloud membership plan. For more information, see Navigate and use the Home screen. The Learn panel is designed for new users to help them create a composition quickly while introducing them to panels, timeline, and effects. The new Learn workspace offers a simpler interface with only four panels (Learn panel, Composition panel, Project panel, and the Timeline panel) to help new users get started with After Effects. The Learn panel is docked to the side so that you can follow the instructions while you still have clear access to the rest of workspace. For more information, see Use the Learn workspace and Learn panel. Saving a project file as a previous version has been updated to Save a Copy As CC (15.x) or Save a Copy As CC (14.x). To save a project as 13.x from After Effects 16.0, first save it as 15.x or 14.x, then open the project in one of those versions and save a copy as 13.x. Deleting multiple empty folders in the Project panel no longer asks you to confirm the deletion if all of the folders are empty. The Match Legacy After Effects QuickTime Gamma Adjustments option in Project Settings > Color has been removed. The Create Nulls From Paths panel now creates nulls directly above the layers containing the selected paths, instead of at the top of the layer stack. The Synthetic Aperture Color Finesse plug-in is no longer included with After Effects. The Ray-traced 3D composition renderer has been deprecated, and is labeled as such in the UI. It will be removed in a future release of After Effects. For better performance, create 3D compositions with only the CINEMA 4D or Classic 3D renderers. After Effects CC is the industry-leading animation and creative compositing software used by a wide variety of motion graphics and visual effects artists. It offers superior control, a wealth of creative options, and integration with other post-production applications — and it's available only in Creative Cloud. Any 64-bit plug-ins designed for After Effects will work in After Effects CC. Any 32-bit plug-ins for After Effects will need new versions designed for 64-bit computing. For more information, contact the plug-in manufacturers. Your computer must meet the minimum technical specifications outlined below to run and use After Effects CC. i The latest version of Creative Cloud apps does not support some older versions of Windows and Mac. Learn more. 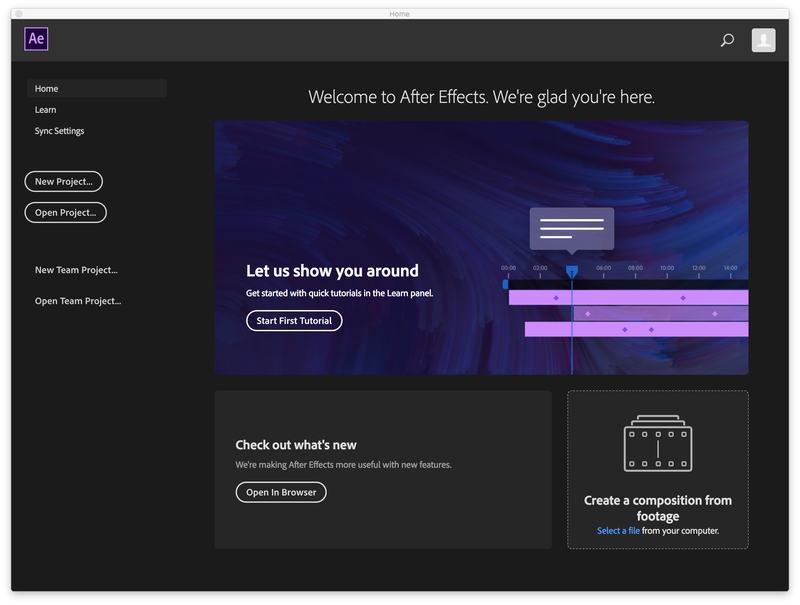 For detailed requirements for the different types of head-sets, and for information on setting up an immersive environment for After Effects, see Adobe Immersive Environment in After Effects. i Note: NVIDIA has publicly released windows ODE drivers that support the CUDA 9.2 SDK used in the latest release of After Effects. This is not the Microsoft default driver, but you can download this driver directly from NVIDIA, Version 411.63 (of the 410 series drivers). Create multiple variations of a single composition with Master Properties. Choose properties like text, position and color to adjust in context, without having to open a precomp to make changes. Twist and bend layers with greater control and smoother deformations. Add pins to any shape and the Advanced Puppet Engine adds mesh detail where you need it most. Add most timeline properties to the Essential Graphics panel, including 2D position, rotation and scale. Export them as Motion Graphics template controls to customize your design in Premiere Pro. More easily import and use native data files (including JSON, CSV, and TSV) right in the timeline. A public API lets third parties implement other data file format support. Link properties to data more easily with the pick whip without enabling expressions first. The Add Grain, Remove Grain and Match Grain effects are now multi-threaded for up to 5x faster performance. GPU usage is more efficient: work with larger frame sizes without memory errors. Motion Graphics templates can be opened as a project in After Effects, retaining compositions and assets. Make edits and then save as a project or export as a new Motion Graphics template for users of Premiere Pro. Preview your VR composition the way it’s meant to be seen, in a VR head-mounted display. The Adobe Immersive Environment supports the HTC Vive and Oculus Rift on Mac and Windows. An overhauled VR Plane to Sphere effect delivers higher-quality transformations. Limit chroma and luma values to meet broadcast specifications. Apply to individual layers or to an adjustment layer to limit your entire composition. Enhancements include improved tracking of collaborators, better project management, and more. Also includes: A shortcut to quickly cycle through mask modes, the ability to automatically center shape layer anchor points, better disk cache management, and project organization improvements. The June 2017 update for After Effects CC (Version 14.2.1) includes significant performance enhancements as well as bug fixes, and is recommended for all users. We fixed the “Cached preview needs 2 or more frames to play back” memory allocation errors, caused by an incorrect estimate of free memory when After Effects attempted to render or preview frames. (Note that you will, however, still see this message if you attempt to preview a single frame.) These fixes should also enable you to preview longer stretches of your timeline. Text rendering has been optimized. As a result, Dynamic Link rendering performance of After Effects compositions, including Motion Graphics templates and legacy text templates, is now significantly faster, up to 4x faster depending on the composition. Importing Illustrator or PDF files, or opening a project containing those files, is now 3-4x faster for files with many layers or a very large number of vectors to parse. The Camera-Shake Deblur effect now renders correctly when the project color depth is set to 16-bpc or 32-bpc. The Lumetri Scopes panel no longer displays at a reduced size on Windows when HiDPI display scaling is enabled. Overbright pixels in 32-bpc compositions no longer lack a color cast, when appropriate, if the Hardware Accelerate Composition, Layer, and Footage Panels preference is enabled. The CINEMA 4D renderer no longer fails to render the frame or give an error, “CINEMA 4D Render Failed (5070::0)”, if you enable motion blur when the Composition panel is set to an orthographic 3D view. Changing Brightness in Preferences > Appearance no longer leaves some parts of the user interface at the previous brightness until you restart After Effects. Note that CEP panel tabs, such as the Libraries panel, still have this problem; we are investigating this remaining problem for a future release. The sample Motion Graphics templates installed by After Effects have been updated so that they no longer fail to render correctly in Premiere Pro if After Effects is installed in a non-English language. Text layers in a Premiere Pro graphic object now include tracking, kerning, and tsume values when they are brought into After Effects. Also, vertical text is no longer changed to horizontal text. Shape layers in a Premiere Pro graphic with the fill attribute disabled no longer have a red fill when they are brought into After Effects. Premiere Pro graphic objects that have effects applied between graphic object layers now replicate the effects on adjustment layers when they are brought into After Effects. A similar problem with masks is solved by replicating the mask as a track matte. Also, keyframes at frame zero in the graphic object are no longer adjusted forward one frame. Premiere Pro graphic object layers with their visibility eyeballs disabled no longer have their visibility re-enabled when they are brought into After Effects. Team Projects no longer prevents footage from being deleted from the project if a composition or sequence has a dependency on the footage. Team Projects no longer flags a footage item as needing to be shared if the only change was that the footage was relinked to the same source media. Enabling expressions for a property on macOS 10.12 using the Option+Shift+= (equals sign) keyboard shortcut no longer replaces the default expression with the ± (plus-minus sign) character. JPEG image sequence footage no longer changes its frame rate and duration when the project is saved, if the frame rate assigned in the Interpret Footage dialog differs from the preference for sequence footage frame rate. Note: JPEG sequences in projects last saved by versions 14.0 or 14.0.1 are not automatically corrected to their previous frame rate. To fix such projects, change the frame rate to the expected value in the Interpret Footage dialog for these JPEG sequences. After Effects no longer crashes when you open the preferences if the audio device last used by After Effects was disabled or disconnected. Auto-save timing has been fixed so that the timer only starts after you make a change to a saved (or new) project. This prevents problems where the timer would run while the project was saved but not changed, resulting in auto-save occurring after you make the next change. Text templates that use sourceRectAtTime() in an expression now update the comp correctly when the text is changed in Premiere Pro. Text templates that use expressions to reference other layers now update the comp correctly when the text is changed in Premiere Pro. Text templates no longer display layers as offline in Premiere Pro if the source file for that layer uses non-English Unicode characters. When you select a template project in Preferences > New Project, the file dialog box allows you to select all project format types (.aet, .aep, and .aepx) without changing the format type selector. Creating a new project from a template, when enabled in Preferences > New Project, no longer adds the project template to the File > Open Recent menu. Orthographic views of compositions using the CINEMA 4D renderer are no longer offset and shifted from layer handles. Previews with the Skip option enabled (i.e., not zero) in the Preview panel no longer play at less than real-time when you play through previously cached frames. Composition and layer viewer panels no longer downsample the preview image if you make a change during playback and the composition Fast Preview option is set to Adaptive Resolution. After Effects no longer crashes when you quit on a Mac computer with an Intel GPU, after you import video footage or JPEG images. After Effects no longer sometimes crashes when you quit while a preview is playing back. After Effects no longer crashes on start when trying to load a plug-in from a folder with a very long name. After Effects no longer crashes if you apply the Glow effect to a synthetic layer (e.g., solid, shape, text, etc.) and the layer is outside of the comp bounds, if the project is set to use GPU acceleration and is in 8- or 16-bpc mode. Team projects can now be saved as a local project (.aep) by choosing Edit > Team Projects > Convert Team Project to Project. The Edit > Edit in Adobe Audition command is now available for layers with audio in a team project. Many bugs with team projects have been fixed. Real-time playback of previews on macOS 10.11 and 10.12 is no longer affected by redrawing the Timeline panel. (Workarounds, such as docking a different panel below the Timeline panel or previewing in Full Screen, are no longer necessary.) Also, After Effects no longer draws a white line at the bottom of the application window. Stopping a preview or face tracking on macOS no longer sometimes causes After Effects to hang. Color profiles assigned to video footage no longer are no longer reset to Rec.709 when the project is saved. Help menu commands which open help pages on Adobe.com now work if After Effects CC 2015.3 is not installed. After Effects no longer crashes in some cases when using an external multichannel audio device for preview (Preferences > Audio Hardware). After Effects no longer crashes when quit after importing video footage files on Mac hardware with an integrated Intel GPU. After Effects no longer crashes when importing or replacing certain PDF files. After Effects no longer crashes in some circumstances when both a pre-comp (without Collapse Transformations enabled) and its parent comp use the CINEMA 4D renderer. What's new with Adobe After Effects 2017? Get rid of bottlenecks and work faster with more GPU-accelerated effects, as well as Dynamic Link improvements that eliminate intermediate rendering between Premiere Pro and After Effects. This update introduces native import and export support for the QuickTime Animation codec, and native import support for the PNG video codec and AAC audio codec inside of QuickTime files. This means you no longer need QuickTime installed on Windows in order to use QuickTime files with the Animation, PNG, or AAC codecs, part of our ongoing effort to provide native support for as many codecs as possible. These codecs are also natively supported in the updates to Premiere Pro CC 2015.4 (10.4), Adobe Media Encoder CC 2015.4 (10.4), Audition CC 2015.2 (9.2.1), and Prelude CC 2015.4 (5.0.1). Bug Fixes in After Effects CC 2015 (13.7.2) Mac Only. This update fixes a bug that occurred in After Effects CC 2015 (13.7.1) on Mac OS X: RED (.r3d) files can again be imported, and are not reported as missing in existing projects. This update fixes a small number of bugs, including a bug that caused After Effects to not be able to play back a cached preview in real-time on Mac OS X 10.11 (El Capitan). The preview image in the Composition panel no longer fails to update in certain cases after you make a change to the composition. This fix prevents After Effects from putting the image cache into a bad state, which most commonly occurred on Windows after using Undo, but could also occur after other changes once the project had entered the bad state. Viewer panels (Composition, Layer, Footage) no longer show downsampling artifacts when the viewer zoom is set to 50% zoom, the viewer resolution is set to Full, and the Hardware Accelerate Composition, Layer, and Footage Panels option is enabled in Preferences > Display. After Effects no longer fails to start on computers with older processors lacking a specific instruction set (e.g., AMD Phenom II and Athlon processors). The error message given for this specific issue was “The application was unable to start correctly (0xc000001d)” or “The application was unable to start correctly (0xc0000142)”. Note: A similar issue affects Premiere Pro CC 2015 (9.1), for which the fix is somewhat more involved. An upcoming Premiere Pro update is intended to address this issue. Thank you for your patience. After Effects no longer generates the wrong image for layers using some plug-ins in 16-bpc or 32-bpc (bits per channel) color mode. Affected plug-ins included Digital Film Tools Film Stocks and Digital Anarchy plug-ins. Creative Cloud account names that use non-ASCII characters (e.g., Japanese and Chinese characters) no longer cause an error “could not convert Unicode characters” when you start After Effects. Posted by Daniel Gies on Vimeo: "This is a really quick overview of one method to approach head rotations and Blink animations. It is not a definitive method, but if your character design suites the process it can be quite effective.I just skim over the expressions and property linking so if you need a more detailed overview of linking sliders to layer attributes check out my earlier tutorial on Using Sliders." Create a cool looking glass/window break. I’ll be talking through some basic compositing with Action Movie Essentials 2 and cover a little time remapping. Here is some basic information about installation and troubleshooting installs that will apply to most plug-ins. First, I will note the obvious. With so many different developers building plug-ins, each installer will be different. You will even find differences with the same vendor, depending on how many hosts the plug-in installs for and the version of the plug-in. On Wednesday, June 27, 2012, Michele Yamazaki tapped Boris Continuum Complete v8 AE’s state-of-the-art particle system effects to develop and enhance broadcast graphics in Adobe After Effects CS6. Using BCC Particle Emitter 3D and other Boris Continuum Complete VFX filters in conjunction with After Effects’ native 3D camera and lighting systems, Michele made ordinary graphics and titles pop off the screen in 3D particle bursts. Dylan Winter demonstrates how you can expand After Effects towards the premise of Effectors in Cinema 4D. "If you ever wished that you could take advantage of some of Cinema 4D’s powerful effector tools while working in After Effects, your wish may now be granted. Using some clever scripting and a basic control system, we’re going to rig up our very own effectors within After Effects". By Emanuele Fiorito at AEtuts+: "In this tutorial we will see how to work some expressions to create your own preset that you can apply to achieve a stop motion effect for hundreds of photos." In this tutorial Nik Morris will show you how to take animated pixel art and incorporate it into large HD videos while retaining the original quality! By Jorrit Schulte at AEtuts+. "We’ll be looking at creating a chalk-style scribble based on an image. We’ll be creating masks to make the lines using both manual and automatic techniques. From there we’ll animate the drawing on, and create a wiping animation which leaves smudges on the screen." By Batuhan Türkay at AEtuts+: "In this tutorial we’ll take a look at the basic principles and behaviors of water in the case of forces being applied to it. We’ll be keyframing masks on solids to recreate a liquid movement." Post by Joshua Lester at AEtuts+: "This Quick Tip will show how to manipulate footage of an eye to create the illusion that the Iris or Pupil is dilating. Using the Bulge Effect and simple motion tracking, the final product is quick and demonstrates how to use these simple tools." David Torno has wrapped up nearly 16 hours of After Effects ExtendScript training at ProVideo Coalition. "Scripting can drastically improve workflows, speed up repetitive tasks as well as capture and output project information. If you have never tried ExtendScript or wanted to, but just couldn't find enough info to help you get started, then this series is for you. Seasoned programmers looking to understand how ExtendScript works could also benefit as well." Post by Bryan Clark at aetuts+"Today I’ll share an expression I wrote to improve my workflow, which comes in handy any time I need to populate the screen with a large number of elements (e.g. filling the frame with photos, or animating info graphics, etc). By laying the elements out first in Photoshop, then using the ValueAtTime & delay expressions, I have much greater flexibility for tweaks & future revisions than using standard methods (like the standard Sequence Layers function). I’ll describe the normal method & show the problems therein; then explain the expression, what it means, and how to apply it." A new one from Andrew and Company, just in time for Tutorial Tuesday at Toolfarm. He shows how to create a dynamic spectral animation without using any party plug-ins. Track and Replace a Mobile Phone Screen in mocha! Imagineer has a new tutorial up that covers tracking an iPhone screen. Mary Poplin gives detailed instructions on the process both in video form and in words, so you can go at your own pace. Let’s start Tutorial Tuesday with a groovy 1970’s throwback, the lava lamp! The tutorial is from Mikey Borup at Premium Beat. This tutorial is for beginners and covers things like fast blur and levels. They also go over Motion Sketch and the Light Sweep plug-in. If your greenscreen footage didn’t turn out as perfectly as you had hoped, here are some things that you can do to fix problems and not create new ones. This article is for motion graphics, vfx, and 3D artists and also video editors. We’re keeping track of issues you might have with your software and with information on how to fix problems. The Beat has linked to some nice presets for Premiere Pro & After Effects to give your video work unique color looks. The first couple are from their list. I’ve expanded on the free presets, plus added some great free color grading plug-ins for AE PPRO and more! Here’s an ongoing list of plug-in compatibility and other information that you need to know about plug-ins in the new CC video apps. If you've been using Adobe After Effects since early versions, as I have, you are familiar with the idea of optimizing your machine and settings for premium performance. Here are some tips and resources to help you create the fastest and most solid After Effects you can. If you don't have a big budget for optimizing your system, where do you put the money for upgrades? That's for you to decide, but here are some suggestions on how to optimize what you have, and about other ways to optimize. If this article can't help you with the speed of After Effects, it will hopefully explain why things aren't running as fast as you would like them to. Felt Tips at AE Tuts+ has a fantastic, in depth 50 minute tutorial on fixing issues with Expressions. This tutorial is geared toward Photoshop users, but Richard Curtis explains the workflow using CINEMA 4D Lite, which is bundled with After Effects CC, to make create elements for 3D Printing. Andrew Kramer animates the Twitter logo with the Puppet Tool in Adobe After Effects. Tilt shift makes your video and images look miniature, like toys. In this project, they use Posterize time, Camera Lens Blur, CC Light Sweep and Fast Blur to create the effect. Here are several tutorials that give After Effects users that chunky, retro, 8-bit, posterized look, with or without plug-ins. Ryan Boyle of Sketchy Pictures explains the full process from character design, expressions for animating movement, lip-sync, lighting and camera and lots more! Ran Ben Avraham walks you through turning a human man into a Lizard Man with After Effects and Mettle FreeForm Pro. He motion tracks his footage and wraps the serpentine texture around the actors head with FreeForm Pro. In this tutorial Ben Watts will teach you how to create a basic digital wipe effect using Adobe After Effects. In this tutorial, Matthew Perks will show you how compose a green screen shot with a moving camera. He will also show you how to make an accurate 3D shadow of the subject, which really helps to sell the shot. Pro Video Coalition has a great article up written by ChrisZwar. Its an overview on the power of the ability to create 3D layers and work with them using After Effects’ Virtual Camera tool. Mustapha Fersaoui shows how to create a realistic rain scene with Photoshop and After Effects using a lot of plug-ins that ship with AE, plus some Optical Flares and Red Giant Mojo. Andrew Kramer uses 100% After Effects, no third-party plug-ins, to create this shockwave effect using Fractal Noise. Alex from Zaxwerks explains how to create some cool animated sports banners with Zaxwerks 3D Flag, which incidentally, is on sale through July 1, 2014! It’s day 3 of 30 Days of After Effects from School of Motion in Sarasota Florida. Learn to efficiently use After Effects Expressions to rig up some gears. Inspired by the practical exploding chalk effects used in the Semi-Permanent Sydney 2014 title, Claude Autret explained to Red Giant’s Aharon Rabinowitz how he attempted to remake some of the effects in After Effects using Trapcode Form. Claude explains how he used a letter converted to a shape, to use only the outside stroke, as a layer map for Form, with really small particles, and then animate the displacement and dispersion so it explodes towards the camera. The 3D Pre-Compose Script makes it easy to pre-compose 3D-aware layers in After Effects by automatically copying all cameras & lights into the new comp with linked expressions! Just watch the tutorial to see all the amazing possibilities! Plus the script is Free! Want to create cool looking Sci-Fi effects in AE? Then check out this tutorial from Matthew Pearce as he explains how he created some of his favorite effects. This is from Day 7 of 30 Days of After Effects from the School of Motion at Ringling College of Art & Design. Joey explains one of the basics of using 3D Objects in After Effects, some tricks and animation principles. In the tutorial below, Mikey Borup explains how to create a morph with the After Effects Liquify tool and no other third-party plug-ins. Joey shows you how to re-create his go-to animation trick. Kyle Predki, Joey's friend from Toil, came up with the move, hence the name. It's the bouncy, fun text animation that you can see in the first few seconds of the video. Get tips and techiniques from Sean Frangella for "working with 3D cameras in After Effects, including changing focal length, parenting cameras to nulls, cutting between multiple cameras, roving keyframes, and linking depth of field." Learn how to make floating glass shards with After Effects to create a unique looking title sequence. Video Copilot offers up this great tutorial on how to make an LCD pixel screen with the CC Ball Action effect in AE. Plus learn how to create a realistic depth of field with just Camera Lens Blur and a depth map. The CS6 project files are included. This isn’t so much a tutorial as it is a walkthrough of the steps you can take to recreate the eyes of a White Walker from Game of Thrones! Surfaced Studio teaches you how to smear a blood effect along a wall as your actor is sliding down, in After Effects. Learn how to design, shoot and composite a head replacement shot. Think "Headless Horseman." This is a fast paced tutorial design for advances users of mocha and After Effects. If you work with both Adobe After Effects and Newtek LightWave, here are a few tutorials that may help with your workflow between the two programs. In this tutorial TunnelvizionTV will teach you how to create a 3D Hologram Effect using After Effects and Trapcode Form. Trapcode form can be used to import 3D objects such as OBJ files into After Effects. Create a Paper Airplane in After Effects. Create and animate your own Paper Airplanes in After Effects. This tutorial will show you how with out any 3rd party plugins, plus it only uses the classic 3D engine and not the ray traced. Video Copilot's Andrew Kramer shows you how to create fun, animating polygons that you can easily customize using time displacement, scale wipes and other neat animation tricks. Joey Korenman from School of Motion shows you how NUKE works better than After Effects when it comes to compositing, and how it can help you with your motion graphic designs. Does After Effects CC 2014.2 (13.2) crash on you? One of these 2 fixes from Adobe may help clear up the problem. Adobe Creative Cloud has a tool called "Mask Tracker" the is found in both Premiere Pro CC 2014 and After Effects CC 2014, that can be used to easily create masks. After effects also has "mocha AE CC", a dedicated planar tracker that is similar to Mask Tracker, but also allows keyframe control, and has advanced features for dealing with some of the more difficult masking or tracking situations.Mary Poplin, from Imagineer Systems, shows you the similarities and differences between the "Mask Tracker" and the bundled "mocha AE CC." Knowing which tool to use in which situation can help you save time and be more creative. Watch Shanks FX "Petri Dish Planets" and then check out the tutorial on how he put the finishing touches on them in Adobe After Effects. Paul Ezzy from Boris FX shows you how to take a green screen ballarina and turn it into a hand drawn flipbook style sketch, complete with project file. Get a look at the entire process of creating a 3D sequence with Shapeshifter AE, in just 3 minutes. In this overview, Product Manager Martin Brennand takes you through how the bundled mocha AE complements the Adobe After Effects CC 2015 Face Tracker. Learn how to create an energized molecule effect using only built-in effects in this exclusive After Effects tutorial. Useful Tricks in After Effects! Over 65 Useful Tricks in After Effects You May Not Know About by Sergei Prokhnevskiy. Learn how to create displaced heat waves in After Effects with this easy-to-learn technique. Chris Lavelle shows us how he makes a depth map in C4D to use in After Effects with FreeForm Pro. It’s one way to make a Displacement Map that can be used by FreeForm Pro. How you can use mocha and mocha pro to help with the new face tracker tracking in After Effects 2015. How do you make a jump cut look smooth without covering it up? Use the Timewarp filter in AE. Learn how in this short tutorial from Tuts+. Rampant Design CEO and Lead Creative Sean Mullen Shows Us How to Create Monster Effects Using Adobe After Effects and Imagineer Systems Mocha AE. Does the new AE seem buggy when previewing? It’s all in how the start and stop keys affect it’s behavior. This article on Pro Video Coalition explains how it works and why it really isn’t buggy at all. Paul Ezzy shows you how to mimic the film noir, graphic novel stylized of Robert Rodriguez’s “Sin City: Dame To Kill” with Boris Continuum Complete 9 in Adobe AE. In this simple After Effects tutorial, Imagineer System’s Mary Poplin shows you how to add realistic rain to a shot with plug-ins from Boris FX and mocha AE.Mary uses the bundled mocha AE CC for planar tracking and masking and Boris Continuum Complete BCC Rain. The swish pan is known by many monikers: whip pan, roll pan, swipe pan, flick pan, zip pan, and whoosh are just a few. Get ready for some fun examples, instructions on how to create this cool transition, plug-ins to make the job fast and easy, and tips on improving your transitions. Follow along as Eran Stern enters the mind of a woman; creating both a tunnel vision effect and a dream like scene, that can be used separately or together, by applying a few After Effects tricks. How do I get started making my own videos? Question: I am very inspired by Andrew McMurry’s work in the Visual Effects/ Media Arts. I’d like to start making my own videos and bringing them to life. 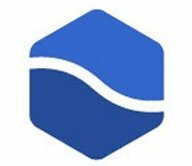 I was told by a Visual Effects distributor to ask you some questions on some recommended software, or apps that could point me in the right direction. Burning Question: How Can I Background Render in After Effects? We were asked via Twitter: “Is there a plug-in in existence that allows me to render in AE (in the background) while I continue to work in AE?” Here is a great solution for Adobe Creative Cloud users. We also have a solution for those of you who only have After Effects or are working in an older version of the software. Burning Question: How can I learn NUKE quickly as an AE user? The Foundry’s NUKE has become a powerhouse in VFX. Some After Effects users are intimidated by NUKE and it’s node-based workflow. I can assure you, it’s not as tough as it may look! I spent all of last week getting up to speed with NUKE and I’m feeling pretty comfortable with it. If you want to up your game, NUKE is a good place to start. This tutorial by Lee Daniels shows an easy way to create flapping insect wings using either the wiggle or loop out expressions and is good for beginners. Intro to the Particle World of After Effects! Adobe After Effects Certified Expert, Jeff Sengstack, present this video tutorial introduction to After Effects Particle World. This one is from a while back but Michele Yamazaki has some great compositing tips from the book “Greenscreen Made Easy!” There's a new edition coming out in 2016! Take a bland, colorless sky and make it into a vault of heaven! Create an alluring azure sky with fluffy clouds, a sublime sunset or an moody moonlight scene. I’ll give several options, utilizing plug-ins from CoreMelt, Video Copilot, Boris FX, Red Giant, SUGARfx and Imagineer. Dominic Pons explains how to create a low-poly Christmas tree scene in After Effects using Trapcode Tao. Learn how to create a basic scene in 3d Studio Max with part 1 of a 2 part tutorial series from Envato Tuts+. In this tutorial, Tim Harris will show you how to create a whirlpool in Adobe After Effects using FreeForm Pro V1.75. Get inspired by images from NASA and build a realistic 3D nebula in After Effects using both Trapcode and HitFilm. It's Tutorial Tuesday! Nancy at Mettle shows us an easy technique to build a 3D shape-morphing animation in After Effects. She uses shape tools to create a simple morphing animation, which she uses as a displacement map with ShapeShifter AE. Using a Null as a camera controller, and setting up lights is also covered. In this tutorial Rampant Design CEO and Lead Creative Sean Mullen Shows Us How to Use Distortion Effects to Add Dynamic Effects to Your Edit in Adobe Premiere Pro. In this tutorial from Gardner Raymond of Consequence Video Designs we will learn how to whip up some dynamic 3D motion with a couple great tools! In this quick tip video by Robert Zinke, you’ll learn how to link the focus distance of your camera to a 3D layer in Adobe After Effects. In this tutorial, Kris Truini covers the process of creating some awesome shock waves/heat distortion waves in After Effects to add impact to your VFX. Mikey Borup shows us how to create 3d topographical maps in Adobe After Effects. oday we’ll look at two easy tricks to put your keyframes at ease (full of jokes today). I’ve always found that setting up a ‘base’ animation is a great to way to make headway on a project - especially with a tight deadline. Then I like to circle back and use these two tricks and expressions to “sweeten” up the animation. Caleb Ward shows us how to make a blazing hot ball of fire in Adobe After Effects. Our friend Sean Mullen over at Rampant Design shares his recent work on the project High Fall, complete with Wire & Rig removal tutorial and behind the scenes footage. Animator Lee Daniels shows us an easy way to create ground shadows on 2D characters in Adobe After Effects. The first Video Copilot show is up and running! Andrew Kramer and the gang show us how to make an awesome Superhero landing. This is the first part of a multi step tutorial that teached you how to create, texture, rig and composite a giant robot into live action footage. This first part shows you how to create the robot in 3ds Max. The popular new Netflix Series Stranger Things is a nod to Spielberg classics, such as ET and Goonies. Learn how to recreate the 80's-styled opening sequence in After Effects - from Red Giant's Seth Worley. Tobias Gleissenberger shows you how to make Adobe After Effects faster by using proxies. A proxy is a placeholder that stands in place for a very large video file or image sequence in your project. Mark Christiansen from Frame.io has create a list of the 12 essential steps you can take to optimize your system and workflow to make AE speedier. Learn how to use After Effects to effectively remove video noise and film grain without the need for 3rd party plugins. Sergei Prokhnevskiy, of Ukramedia, has created a list of 16 expressions he feels all After Effects users should know. He explains which ones and why, in this tutorial. Sergei Prokhnevskiy shares over 100 useful After Effects tips and tricks that you might not know about in this 5 video series. Joren Kandel from The Pixel Lab, has provided a Cinema 4D and After Effects tutorial where he shows you how to use RE:Map UV to replace a C4D UV pass with a 2D texture in After Effects. Voxyde shows you how to create a freezing over / icy transition in After Effects, without the need for 3rd party plug-ins. Learn how to create a procedural water effect with refraction in AE, without using any 3rd Party Plug-ins with this tutorial from Andrew Kramer. Rogue One was an incredible film, in my opinion. Check out some behind-the-scenes looks at the work that went into the film. Rogue One: A Star Wars Story is up for an Academy Award for Best Visual Effects! Joshua Noel of SonduckFilm explains how to create a word morph transition in Adobe After Effects. This was made for After Effects 6, but everything still applies to the current version. Replace your bland skies in After Effects. This is some beautiful work for the film Eclipse. They replace a flat sky with a gorgeous eclipse. This is very similar to the technique I use in the tutorial above. I always love the content from Film Riot and here's a nice tutorial on Sky Replacement in AE. He stresses that Sky Replacement isn't a paint-by-numbers technique, and will vary with every shot. Tutorials on Animating Cartoon Characters with Adobe Software including After Effects, Adobe Character Animator, and Adobe Illustrator. Animating a counter was one of the first things I ever had to create in After Effects, and it wasn’t tough, but there are a few “gotchas”. Being able to work quickly is important in the world of mograph. Boost your speed in working with After Effects by learning these essential hotkeys, compiled by School of Motion. Learn how to connect effects and effect parameters in After Effects by using expressions making it easy to simplify keyframes and workflow, in this tutorial from Sean Frangella. Andrew Kramer shows you how to direct lighting movement, create dynamic reflections, and more, all completely inside Adobe After Effects. Mike from MOBOX Graphics explains how to create a hand drawn water drip and splash effect in After Effects. Make a Magical Particle Trail with Visionary Universe’s Lendon Bracewell walks you through making an enchanted magic particle trail with Stardust. This Epic Saturn Space Scene from Caleb Ward includes a tutorial and free project files for creating, animating, and stylizing a planet in After Effects. This is a walk through of how to add some fun and engaging elements to your After Effects comps with Superluminal Stardust by replicating particles. I sat in on a session with Maxon about FUI, Future User Interfaces. These are fantasy HUD elements that you see in Sci-Fi films such as Iron Man, Star Wars, and others. Roland Hartmann of graphicinmotion.com explains how to create an exciting globe HUD element with the new Stardust, a modular particle system for After Effects. Make an earthquake in After Effects! Make the earth shake with some shockwaves and heat distortion waves. Graded with Red Giant Magic Bullet Looks. Motion Graphic Designer Brent Willet shows you how to use some of AE’s built in motion and camera tracking features to add a 3D flag into a video clip. Eran Stern from SternFX walks you through the basics of using the Emitter Node in Superluminal Stardust modular 3D particle system in After Effects. Photographer and cinematographer Dan Marker-Moore shows you two different techniques to create his super cool light trails/long exposure looks in Adobe After Effects. The 2017 solar eclipse was an event to remember and awesome to experience. Now you can recreate the celestial event in After Effects with this eclipse timelapse tutorial from Caleb Ward, graphic designer and video producer. Ward uses no 3rd party plug-ins, but does use higher level techniques. However he walks you through each step so even a novice AE user can do it. Learn how to create a rather complex particle earth HUD using the Superluminal Stardust plug-in in After Effects, in this tutorial by Roland Hartmann from graphicINmotion. Caleb Ward shows you how to create a cool ocean simulation using only the built-in tools in After Effects. Award winning motion graphics designer Garth Lee shares some tips on creating the look of pixel art. Think video games from the 80’s and 90’s. Trainer Eran Stern gives a great overview of a cool plug-in from Yanobox called Mosaic. It’s great for pixel texturing & ASCII effects with adaptive tiling. Burning Question: How Can I Learn Expressions in After Effects? Expressions have been in After Effects for many years, but you can easily use After Effects and never touch them. Some find the programming a bit off putting, and I get that. Like learning short cuts, knowing just a few expressions can speed your workflow up 3 fold. Today, were going to go over some of the simple and common expressions that will make your day to day workflow faster and smoother, plus give you resources on where you can up your game! Blade Runner 2049 has really interesting visuals and sound design. Learn to recreate some of these effects with these five tutorials inspired by the film. In this tutorial, Ilya Dji from EasyAfterEffects.net shows you how to create cartoon animated cloth in After effects, using the pin tool. There’s a template download available too. Animator and Filmmaker Daniel Gies explains his method for creating a fake cloth or secondary motion animation in After Effects using simple expressions. Evan Abrams shows you an easy way to animate arms and legs in AE without straining yourself, using shape layers. Have you tried the new chart and data animating tools that were introduced in After Effects in CC 2018? Bring in your spreadsheet data to create animated charts and graphs and wow your corporate clients or make detailed graphs for a documentary. 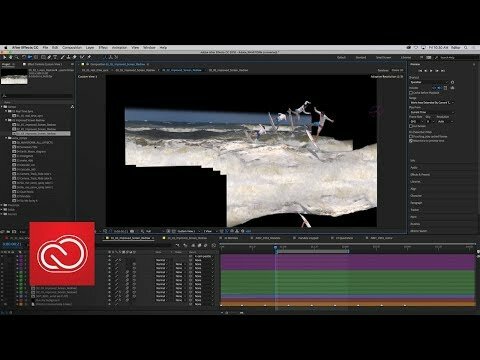 Roland Hartmann of graphicinmotion.com gives a nice tutorial on making particle trails with 3D elements and dives into some features like working with the new Model and Material nodes, creating primitives, extruding masks, adding environments, and using ambient occlusion. Andrew Kramer, from Video Copilot, teased us about this tutorial last week, and it’s finally here. In this new tutorial, he shows us how to create a stylistic glitch effect, inside after effects without any 3rd party plug-ins. This is a Freebie Friday article on sprite generators for After Effects and a tutorial about converting animations into a sprite sheet for unity. How Do I Make a Hologram Effect in After Effects? Holograms are a way to show recorded, beamed messages, schematics, 3-dimensional characters, futuristic user interfaces, and they're now being used in interesting and exciting ways in real life. We'll start with a few examples, and then some After Effects tutorials dealing with the humble hologram. VinhSon Nguyen has a tutorial that went up last month on the free Squash & Stretch extension for After Effects. Here are his tutorial and links to download. Plus, some information on how the concept of squash and stretch, a tenet of animation, will help you give your animations and characters personality. We’ve been teased with this for a while, and it’s finally here. Video Copilot has a new tutorial series on how to create cinematic titles entirely inside After Effects. The first one in the series is on Fantasy titles, and it’s packed with tons of custom beveling. Pond 5 offers 5 tricks and shortcuts, that you may not know about, to help speedup your After Effects workflow and edit more efficiently. Flat Pack FX shows you how to quickly and easily easily create a cool X-Ray effect in Adobe After Effects. Learn how to use physical particles inside the Superluminal Stardust plugin for After Effects. Freelance animator Lee Daniels explains 2 simple methods for creating seamless joints in the arms and legs of 2D characters, all directly inside AE, in this Quick Tip. If you’ve been collecting legacy versions of Adobe software on your Mac for safety, but you’re running out of space, here’s some advice on how to remove the bloat. Adobe shares information and recommendations for optimizing your system to get the most out of the latest Adobe video and audio tools. Learn how to create a 360° landscapes using FreeForm Pro + GEOLayers 2 in After Effects in this tutorial from Charles Yeager.Charles Yeager uses the built in VR tools that are native to After Effects. Stop Writing Complex Expressions. Learn how to easily create dynamic modular Layouts with these 3 tutorials for mamoworld Pins & Boxes. Burning Question: What is a Cinemagraph and How Do I Create One? Cinemagraphs is a format that combines photos and video. It's a still photograph where a small area of the image has repeated or looped movement occuring to draw your attention. Cinemagraphs can be published as movies or an animated GIF or in other video formats. Jason Boone from No Film School shows you how to use Google's new browser based animation tool, Google Earth Studio, and composite the images in After Effects. Emanuele Colombo shares many of his favorite After Effects shortcuts, some of them quite obscure yet handy, to help speed up your AE workflow.